A candy to show the Progress bar with Percentage and time left calculations. Progressor is the fully customized native Progress Bar. The use case of the pod is which will do the percentage and time left calculations by own. Just you have to update the progress value from 0.0 to 1.0. Also, we have opened the UI related things to make more customize. You can easily start consuming the Progressor by creating the instance. Create the instance for ProgressView with the appropriate frame size. 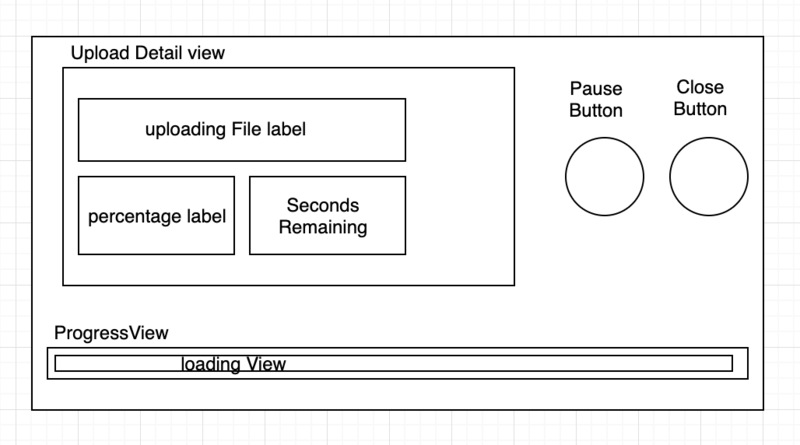 Use this structure to customize the UI elements.